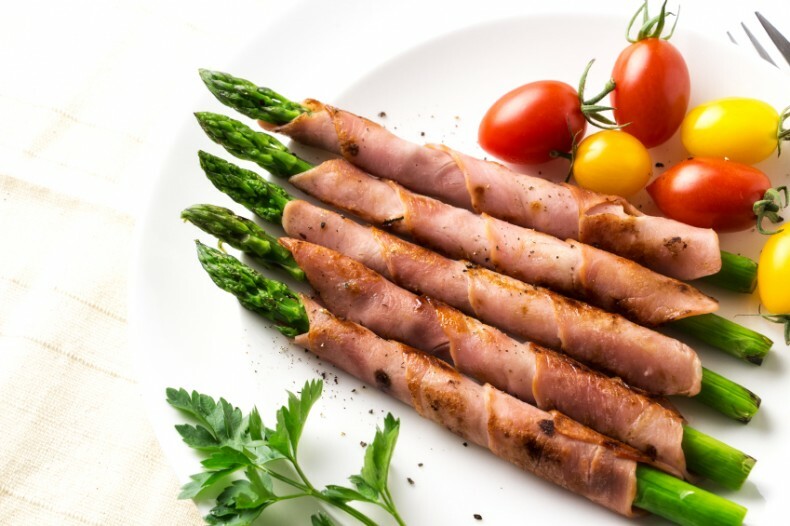 Wrap each asparagus spear with a rasher of bacon. Place onto a shallow roasting tin in a single layer. Sprinkle with the olive oil and lemon juice. Place in oven and roast for 12 to 15 minutes. Serve with lemon wedges and grind black pepper over all.